The sense of gathering momentum for the Leave campaign ahead of the upcoming EU referendum is causing high levels of uncertainty in the UK housing market, as many ‘nervous’ buyers and sellers adopt a wait and see policy, causing activity in the market to slow and property price growth to cool. “Our family clients are buying as normal, whether it’s that they have to move to upsize, or be closer to certain schools. We call these ‘necessity purchases’ and the upcoming referendum has had very little impact on this part of the market,” she said. “With our other UK buyers, who don’t necessarily need to buy now, they’re also holding off to see what the outcome is,” Eccles (left) added. Haart’s findings are supported by the latest study by the National Association of Estate Agents (NAEA) which shows that demand for residential property across the UK has fallen to one of the lowest levels on record as prospective buyers and sellers postpone investment ahead of the EU referendum. “Should we vote to leave, then this will create ongoing uncertainty as the UK seeks to agree a way forwards with the EU,” said Camilla Dell (right), managing partner at Black Brick. 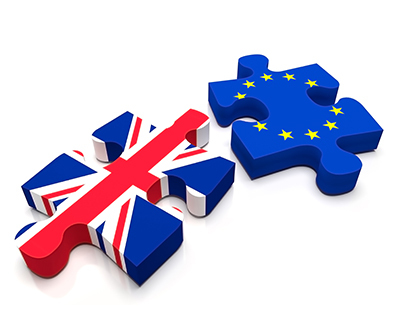 “The upcoming EU referendum means we’ve entered a period of uncertainty, as buyers put off their hunt in anticipation of the result,” said Mark Hayward, managing director, NAEA. Almost a quarter (24%) of estate agents expect house prices to decrease and a further one in four (23%) expect demand to decrease if Britain votes to leave the EU in June. This view is shared by many homeowners. 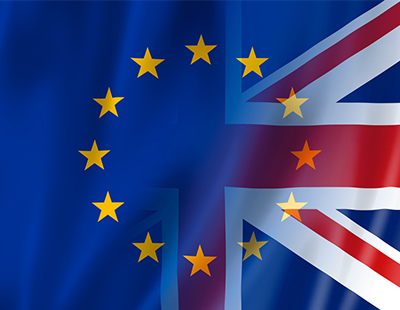 It has been suggested that up to £900bn worth of property investment in this country could be at risk of harm if the UK votes to leave the EU, according to a separate survey of more than 3,000 individual investors. Jamie Lester (pictured), head of Haus Properties, also thinks that a vote to remain should see the property market return to normal fairly quickly, while “it remains to be seen what exactly the impact will be if Britain leaves the EU”. His views are supported by the latest survey by the Royal Institution of Chartered Surveyors (RICS), which shows that house prices in the UK are expected to rise further regardless of whether Britain opts to remain or leave. Despite growing uncertainty ahead of the looming EU vote, many experts still expect to see house prices end the year higher. The scare tactics being adopted by the government to keep Britain in the EU has seen the Chancellor warn about the short-term impact of Brexit, insisting that property prices could drop significantly if voters opt to leave the EU on 23 June. However, if the UK were no longer tied to EU regulations and attracted more local investment, “the property market could also benefit”, added Cox (right). The government’s target of building one million new homes over this parliament will also become an unrealistic one, according to Hill. Chris Nelson, co-founder and partner of Cumbria- based developer egg Homes is also of the opinion that the UK shouldn’t leave the EU, “ because our economy is not strong enough to handle all of the implications that could come with the decision”. The single biggest challenge for housebuilders is the lack of skilled workers in the UK, and Bob Weston (right), chairman of housebuilder Weston Homes, fears that that an exit from the EU will “exasperate the problem”, if it restricts free movement of people across Europe. In the longer term, solid arguments can be made on each side, but regardless of whether the UK votes to stay in or out of the 28-member bloc, the fact is that there is a severe housing shortage that will almost certainly drive home price up further in the medium to long term, but the rate of growth may very well hinge on the outcome of the vote.